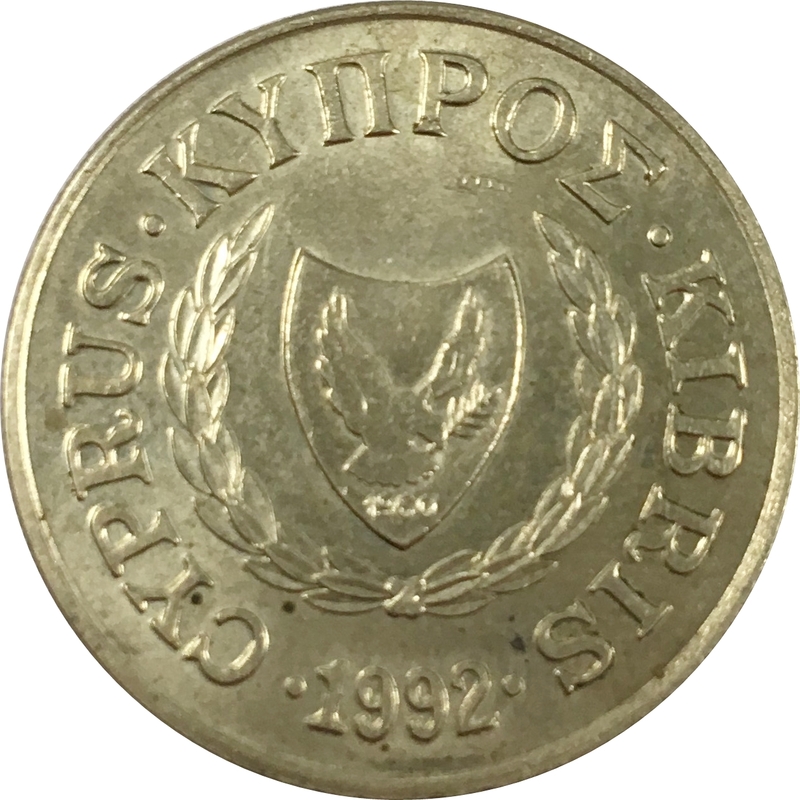 Cyprus coat of arms (A dove holding an olive twig and the independence year 1960), laurel twigs around. 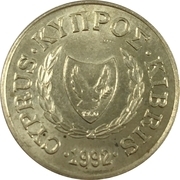 Country name in Greek, Turkish and English. 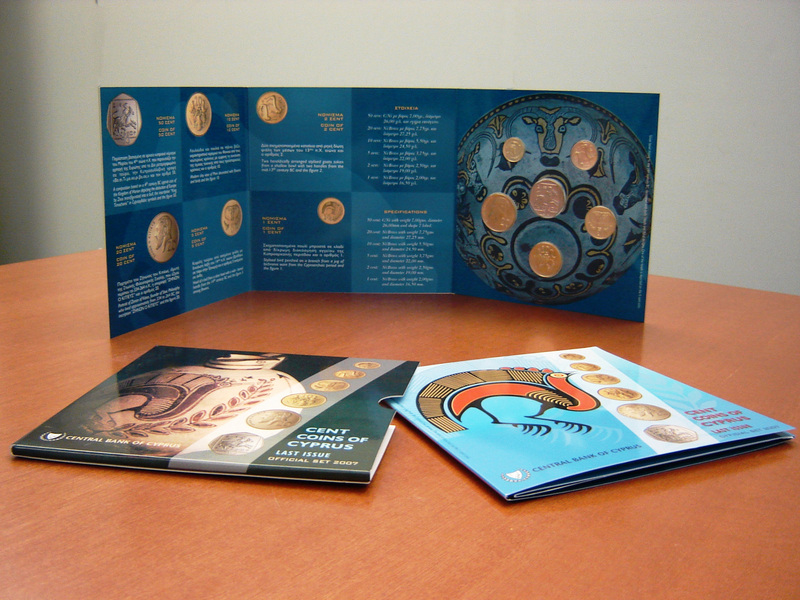 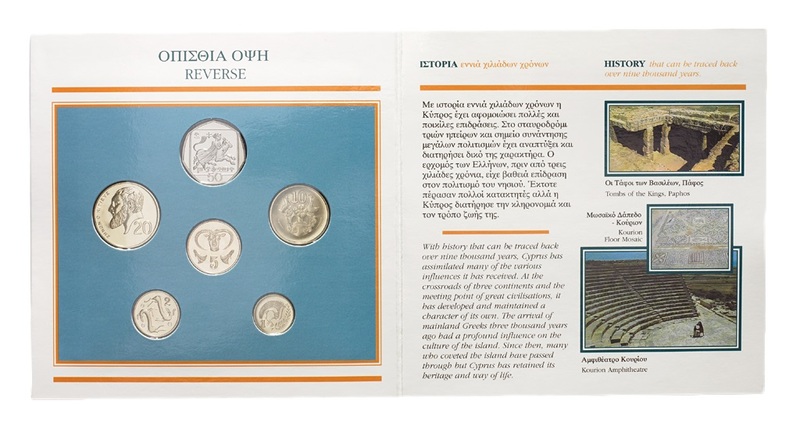 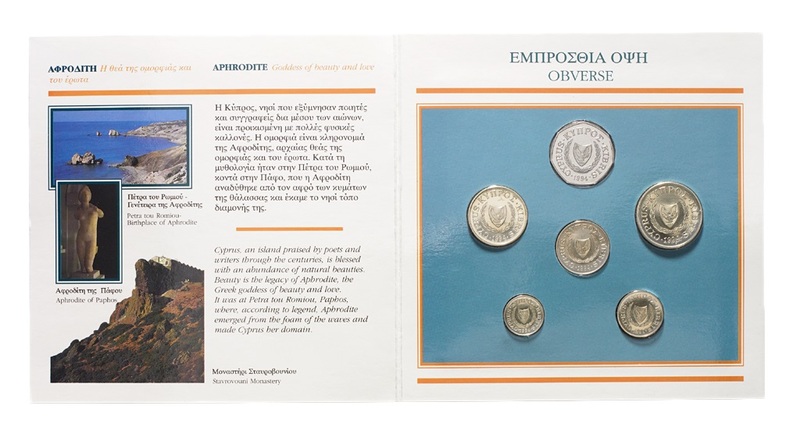 Set of coins in brilliant uncirculated(BU) condition, 1994 issue, in a brochure. 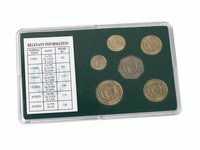 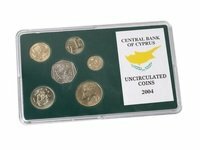 Set of uncirculated condition coins, 2004 issue, in a rigid plastic case. Set of coins in uncirculated condition, minted in 2004, in a three-ply folder. 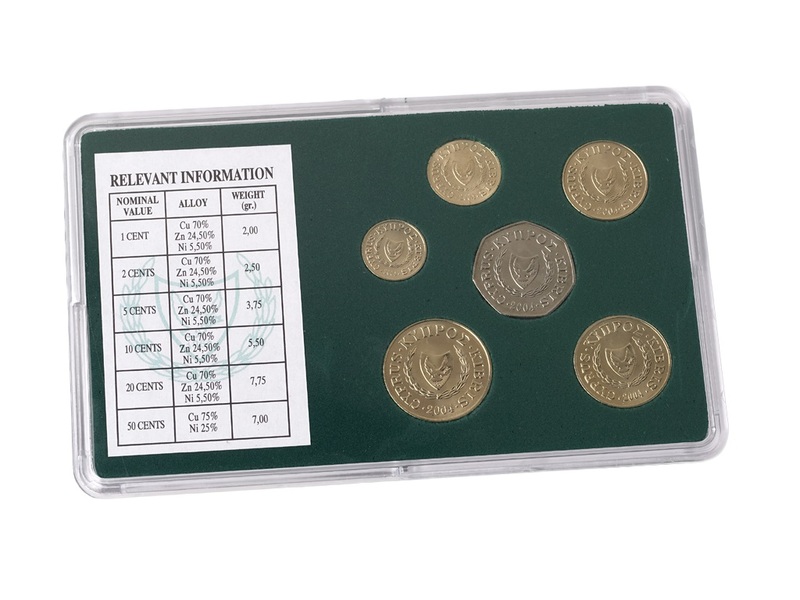 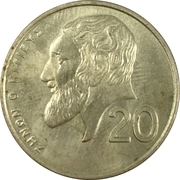 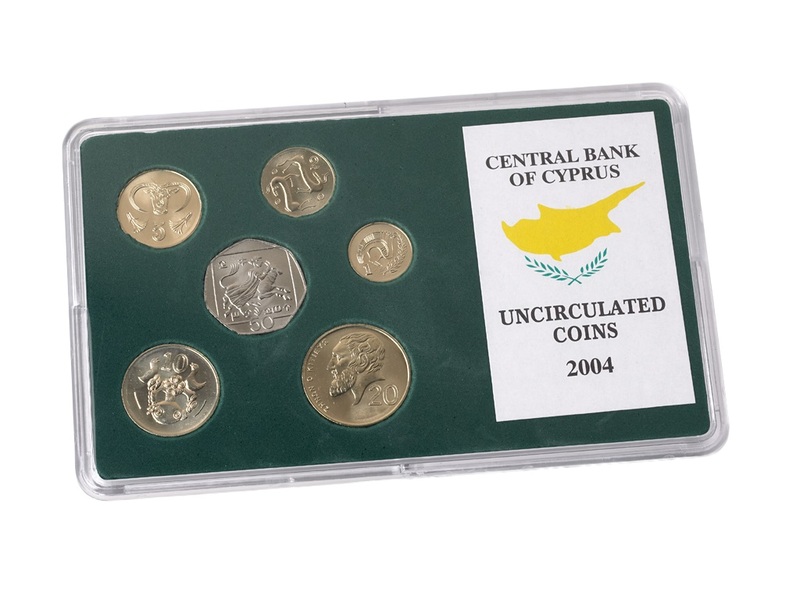 It was issued in 2007 as the set of the last Cyprus pound coins.